At some point in your life, you will most likely wake up with a horrible pimple on your face. 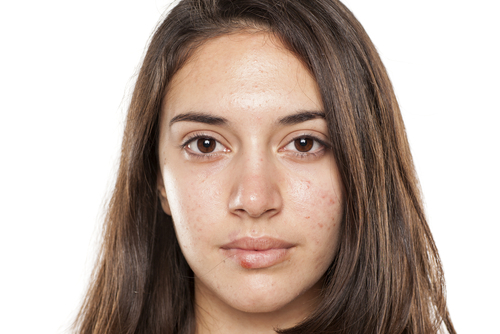 Zits and pimples are common during adolescence, but many adults experience this condition as well. While the pimple will naturally heal on its own, you probably do not want to deal with having an unsightly on your blemish while it slowly heals. Until it goes away on its own, there are a few things that you can do to reduce the appearance and redness of your pimples. The citric acid in lemon juice is supposed to help fight the bacteria that fuel acne breakouts. According to research studies, citric acid can help lighten the skin tone and reduce the redness of pimples. To achieve this affect, all you have to do is squeeze a fresh lemon to get its juice. Afterward, use a cotton ball to soak up the juice and apply it to the pimple. Do not wash off the juice and allow it to remain on the pimple overnight. The effects may not be immediate, but it will help to reduce the redness of your zits. When you use this technique, keep in mind that lemon juice can end up drying out the skin. When you wake up in the morning, rinse your face with warm water before applying a light moisturizer that does not dry out your skin. If you are already using some type of dermatological medication or topical cream, make sure to check with your dermatologist before resorting to lemon juice. Tea is actually amazing for reducing inflammation. Among other remedies, it has actually been recommended for toothaches and infections because it helps to draw out the inflammation. This same quality makes it ideal for treating your pimple. Let a tea bag soak in warm water for one minute before you remove it, but make sure that the water is not too hot because you do not want to burn your skin. Squeeze out the extra water and then place the tea bag on your pimple for 5 to 10 minutes. The tannins will help to reduce swelling. For a bonus tip, try using tea bags when you have puffy eyelids—you will be amazed at the difference. Most people have aspirin in their cupboards, so this is an easy tip to do. Aspirin contains salicyclic acid that can help with pain and minor inflammation. Instead of consuming the aspirin, you can use it topically on your skin. Crush aspirin tablets into a fine dust and add a drop of water at a time until the dust forms into a paste. 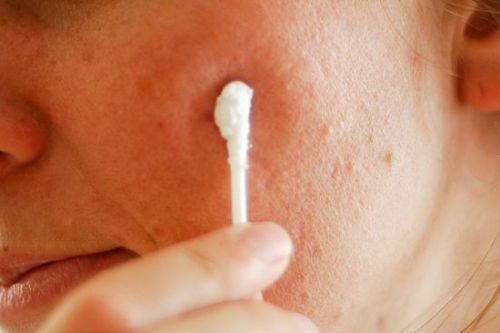 Afterward, use a cotton swab to apply it to your pimple and allow it to sit for several hours. Ideally, apply it before you go to bed at night so that the aspirin has more time to work its magic. This is not just an urban legend—toothpaste can actually help your skin. Toothpaste tends to contain ingredients like hydrogen peroxide, baking soda and triclosan that can help to dry out your pimples. While this technique works in a pinch like when you are preparing for prom night, you may not want to do this all the time since toothpaste can dehydrate your skin a bit. If you do not already have witch hazel in your makeup bag, stop reading this and buy some. Witch hazel can be used to tone your skin, reduce wrinkles and prevent acne. This natural herb has antibacterial and anti-inflammatory properties. The tannin acid in witch hazel also means that it can treat acne easily. Plus, it will not dry out your skin. If you already have acne scars, witch hazel can reduce the appearance of them. Use witch hazel twice a day when you get up and when you go to bed to tone your skin, reduce redness and decrease the chances of acne. If your skin becomes too dry, just use your normal moisturizer to help balance out your skin. Just about every kitchen has a few ice cubes in the freezer, so this is a great tip to use if you just noticed a pimple on your way out the door in the morning or when you are work. Ice helps to reduce inflammation and irritation naturally. The cold reduces the amount of blood flow to the area, which helps to limit redness and inflammation. To keep your skin from getting too cold, wrap the ice cubes in a clean fabric before applying them gently to your pimple. Aloe vera is amazing for your skin. It has natural antiseptic, anti-inflammatory and anti-bacterial properties that help it prevent infections, treat sunburns and reduce inflammation. It speeds up the healing process, which makes it perfect for treating pimples. When used on your skin, aloe vera can reduce redness, swelling and blotchy skin. The active ingredient in eye drops is known as tetrahydrozoline hydrochloride. This ingredient removes redness from the eyes and also works on pimples as well. You can use cotton swabs to apply the eye drops to your pimples. If you freeze a cotton swab with eye drops on it overnight, the additional coolness will also help to reduce inflammation. You only need to apply the eye drops on the affected area however, or you could end up with dried out skin on the rest of your face. To prevent pimples from happening in the future, you need to wash your face regularly to remove soap and bacteria. Ideally, you should use a face wash that contains salicyclic acid because this ingredient will help to prevent acne. Afterward, apply a moisturizer that does not clog your pores. You should remove your makeup completely at night so that your pores do not become clogged. If you are too tired to remove makeup on some nights, keep wet wipes near your bed so that you can easily use those instead.